1. How much did each Idea Store cost to build? 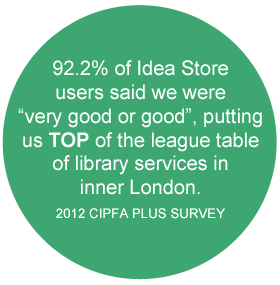 2. Who designed the Idea Stores? 3. Who funded the construction of the Idea Store buildings? 4. Where does the revenue budget come from? Tower Hamlets Council and funding from European Social Fund and Skills Funding Agency. 5. How can I get copies of the floor plans for the Idea Stores?